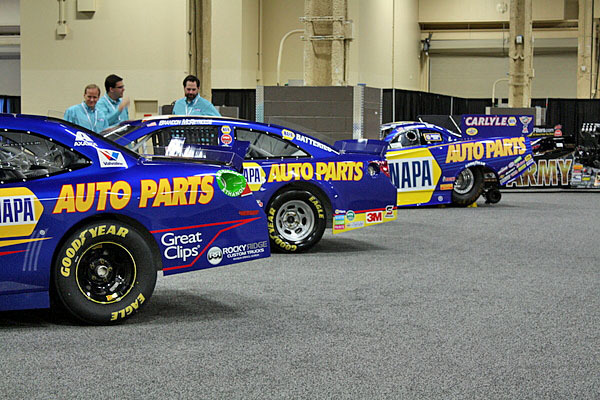 A variety of vehicles graced the exhibit hall floor at the 2015 NAPA EXPO. 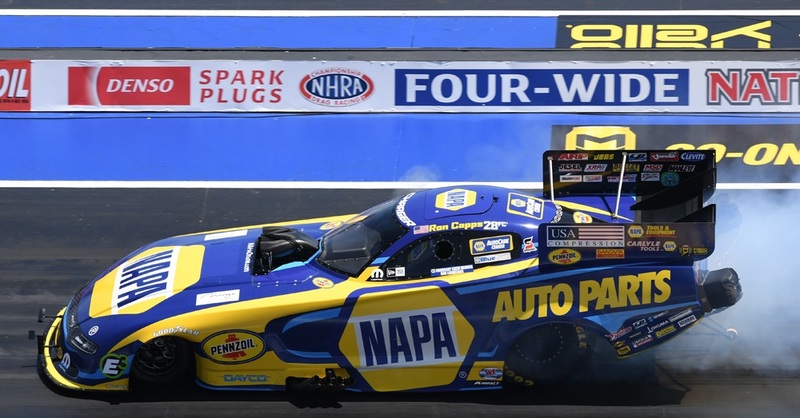 Included in the mix were the purpose-built cars of NAPA Racing teams and customized vehicles showing off the best in appearance, utility and performance upgrades. We walked the floor and captured images to give you a look. Enjoy! 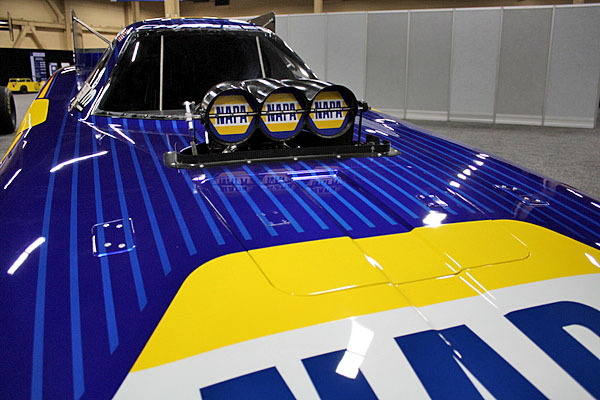 Why not kick things off with the most talked-about NAPA Racing car of them all – the No. 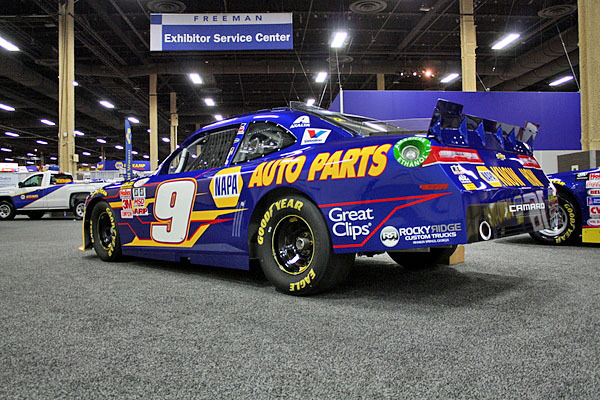 9 NAPA AUTO PARTS Camaro Chase Elliott drives in the NASCAR Xfinity series. 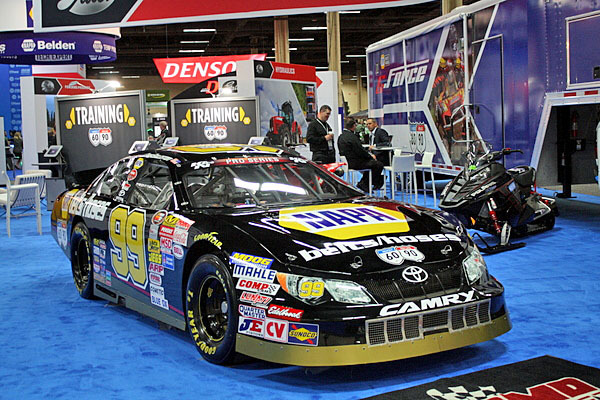 EXPO attendees check out Brandon McReynolds’s K&N Pro Series car, displayed among the rides of Chase Elliott and Ron Capps. 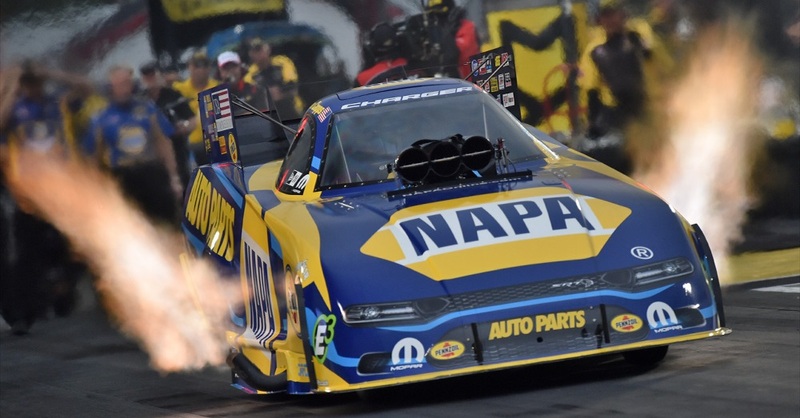 Ron Capps’ NAPA AUTO PARTS Dodge Charger Funny Car is hot this season. Heading to Atlanta, the driver leads the Mello Yello Drag Racing series in points. 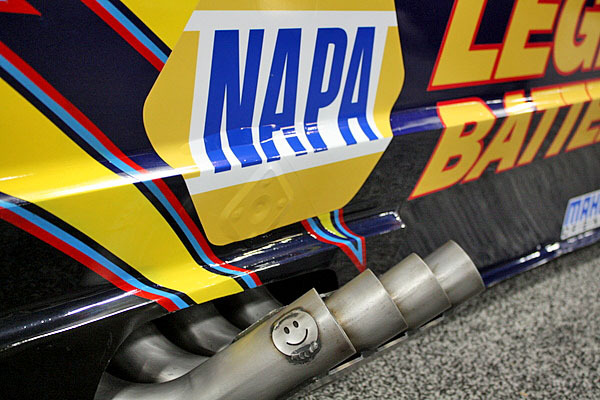 John Lombardo Jr.’s Top Alcohol Funny Car wants you to have a nice day. 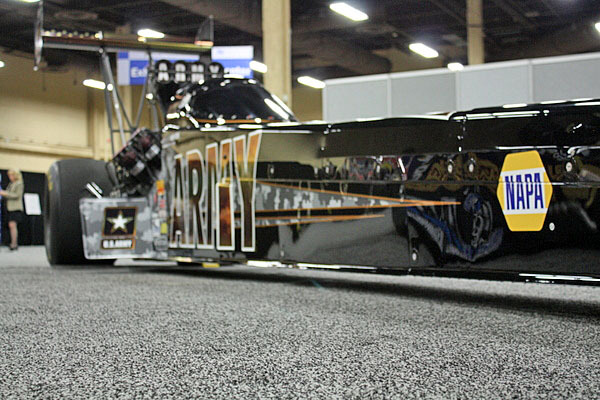 Tony Schumacher, driver of this black bullet, has won eight Top Fuel Dragster world championships, more than any other driver. 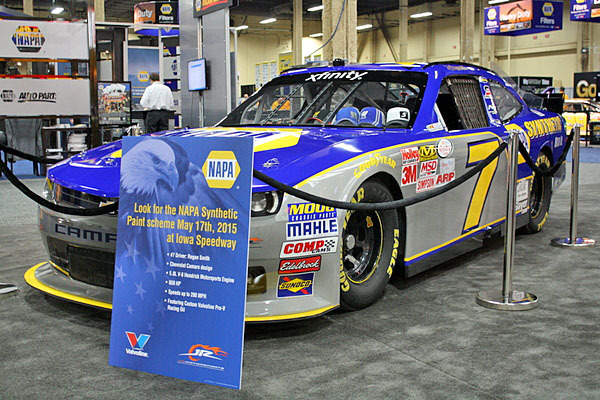 Chase Elliott’s teammate Regan Smith will drive the NAPA Synthetic Camaro at Iowa Speedway on May 17th, 2015. Rookie Chris Eggleston drives the No. 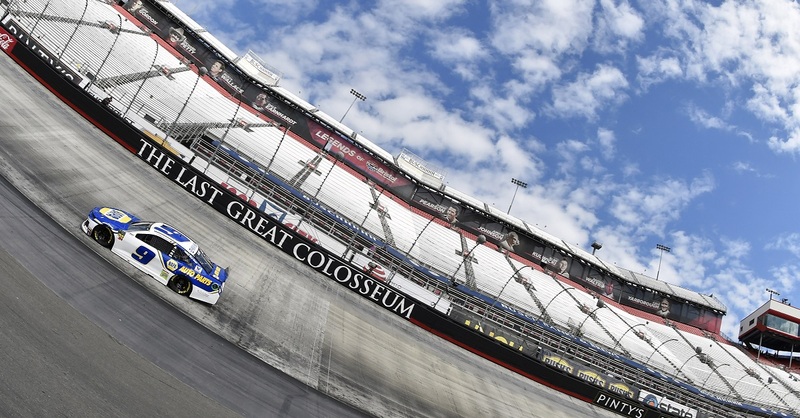 99 NAPA Belts & Hoses Camry in the 2015 K&N Pro Series West. 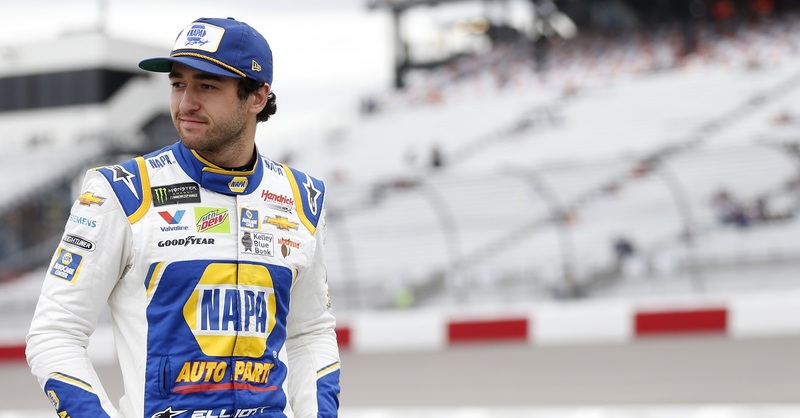 Rick Hendrick made the announcement at NAPA EXPO: Chase Elliott will drive the No. 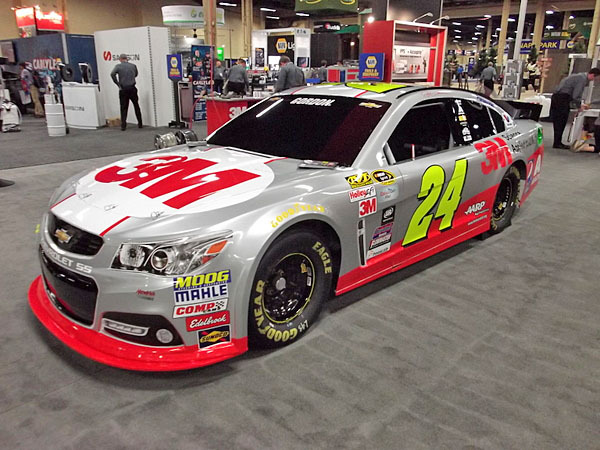 24 Chevy SS in the 2016 NASCAR Sprint Cup series, replacing Jeff Gordon. 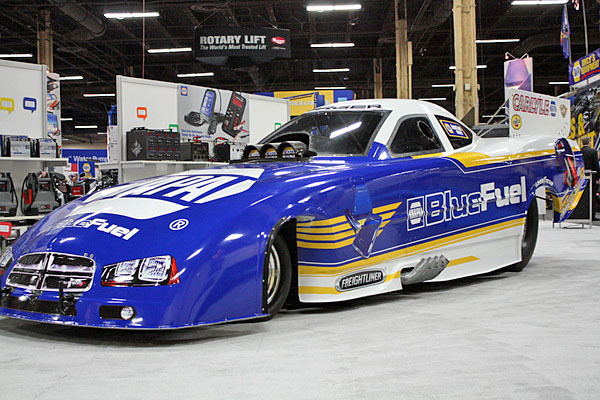 This Dodge Charger Funny Car wears a special NAPA Blue Fuel paint scheme. 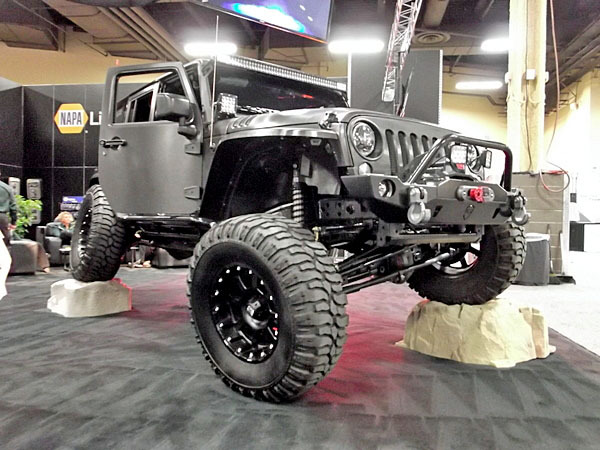 Can your Jeep do this? NAPA Lighting shows off LED lights and lightbars on this radical Wrangler. 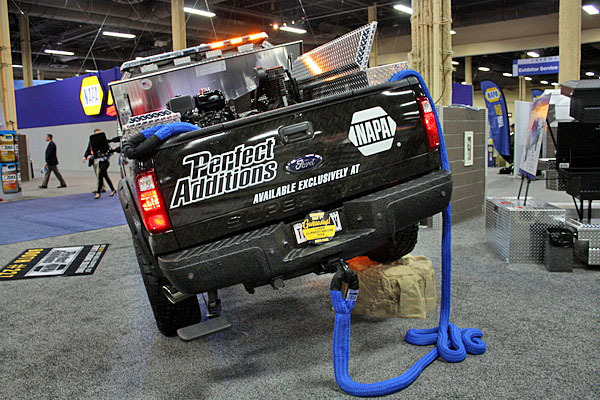 Stacey David’s NAPA Perfect Additions Ford F-250 is ready for work of just about any kind. 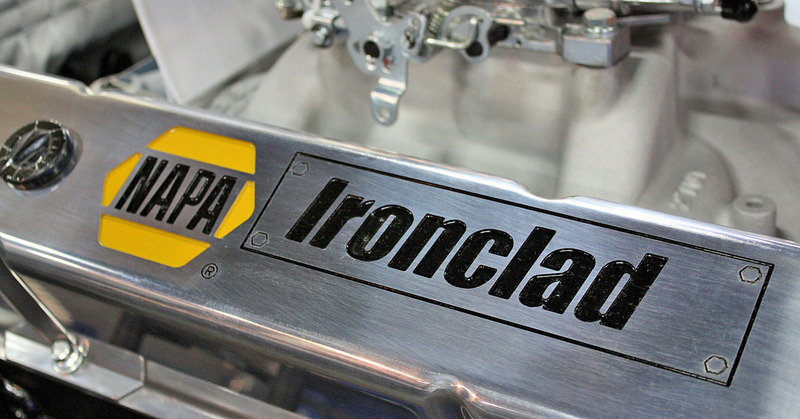 Diamond-plate truck boxes are just the beginning. 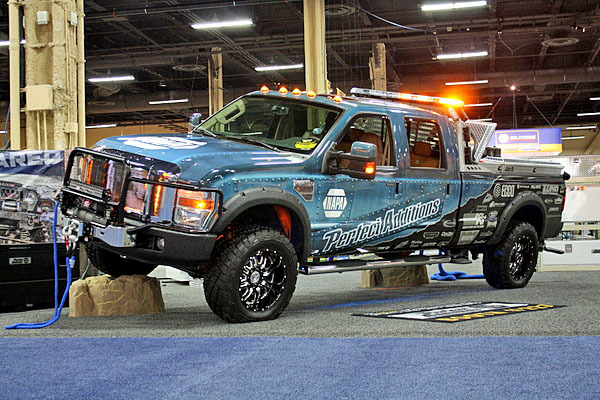 The Perfect Additions F-250 even has a gasoline-powered generator/compressor mounted in its bed. 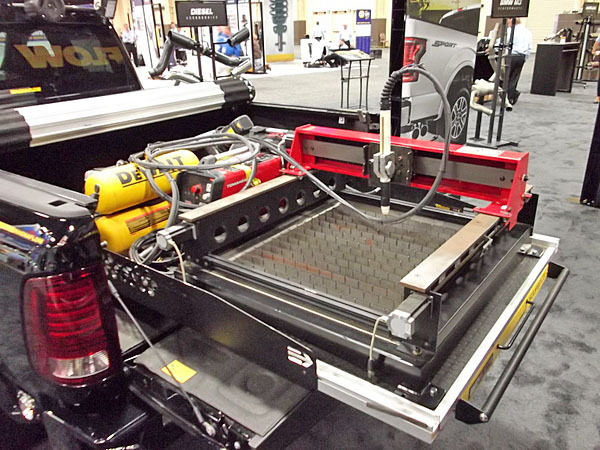 The equipment in the bed of this pickup is even hotter: a CNC plasma cutter slides out for portable part fabrication. 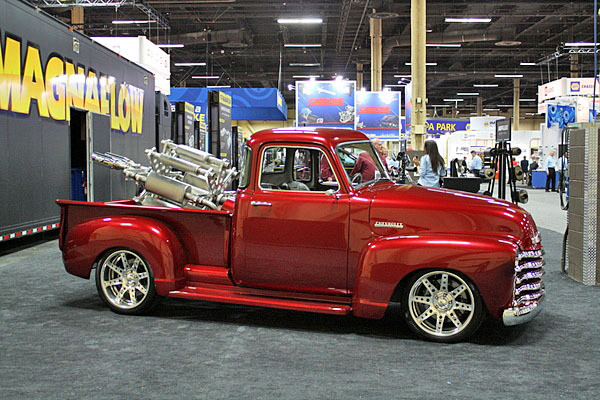 Magnaflow showed off this Chevrolet, which in turn flaunts a variety of the company’s exhaust products in its bed. 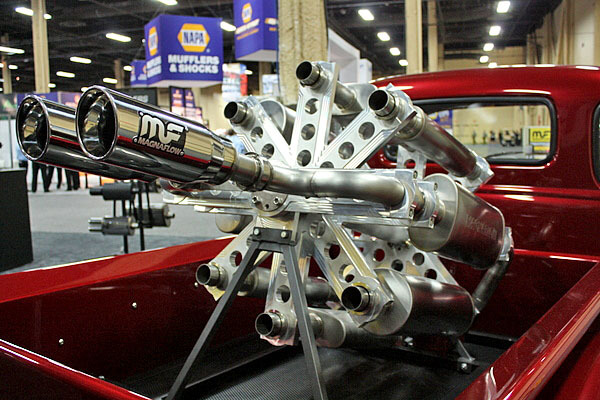 No fewer than eight muffler choices available in this custom Gatlin-gun-style rig. Keep your eye on Caleb Luce. 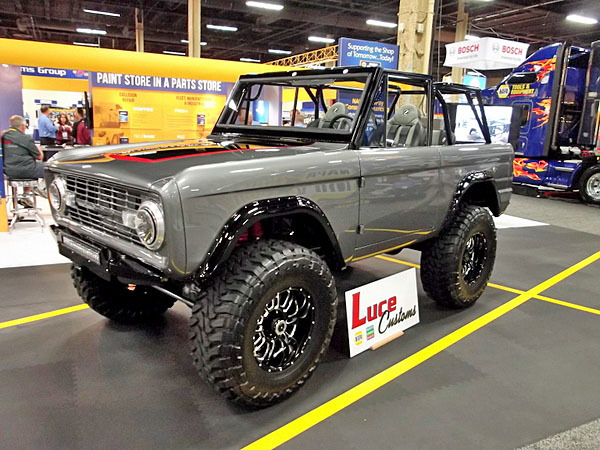 The young custom car builder created this resto-mod Bronco that was among our favorites at NAPA EXPO. 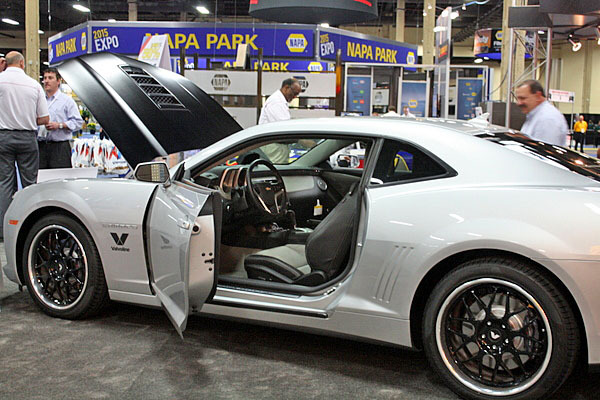 This 2015 Chevy Camaro SS is customized for Valvoline by Hendrick Performance. 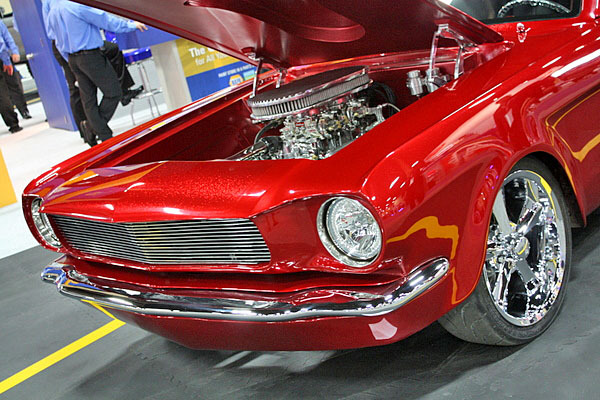 A custom creation by hot rod builder Chris Carlson, this Mustang was first shown in the Martin Senour Automotive Finishes booth at SEMA in 2014. 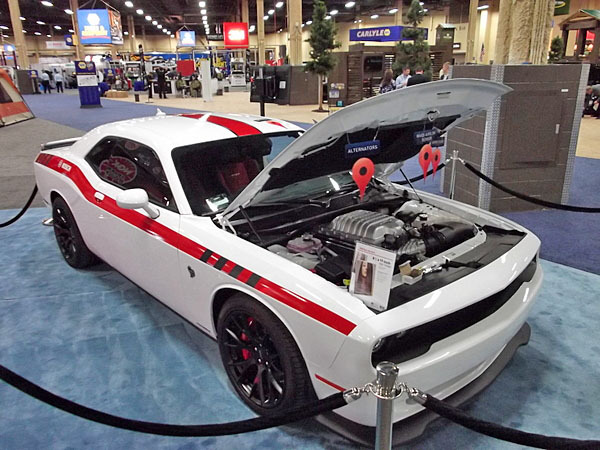 Bosch attracted show attendees to its booth with the mighty Dodge Challenger SRT Hellcat. More Challengers, new and old. 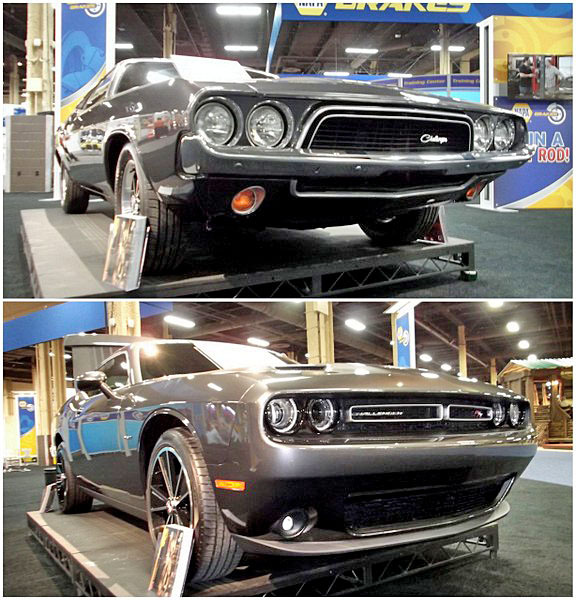 This pair reveals the design evolution of the Dodge muscle car across half a century. 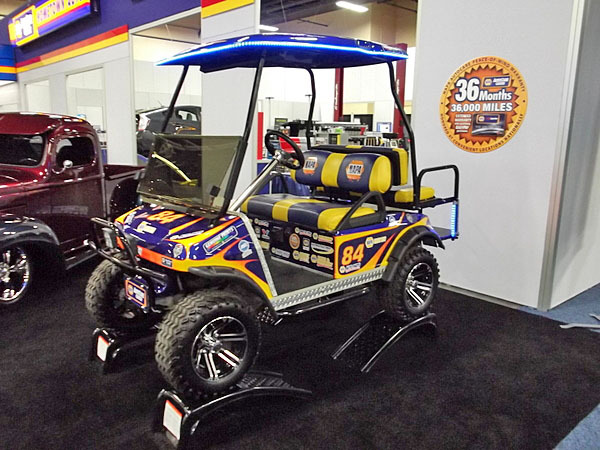 A NAPA golf cart: I’d drive it! Know How to grill and smoke? 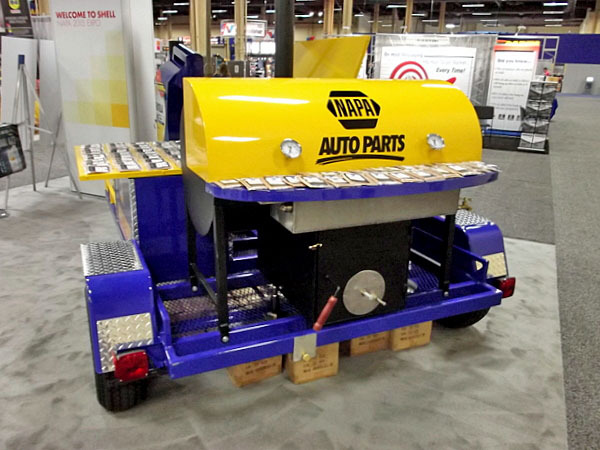 This custom NAPA trailer in the Shell Oil booth is designed to make tasty barbecue, and lots of it. 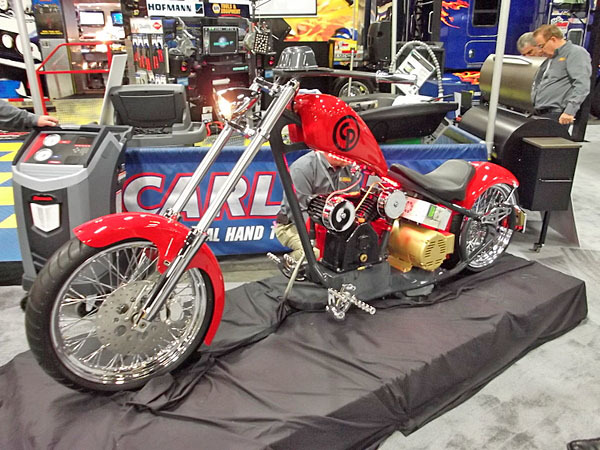 Everyone loves a chopper, but this one is special. Check out the detail photo below. 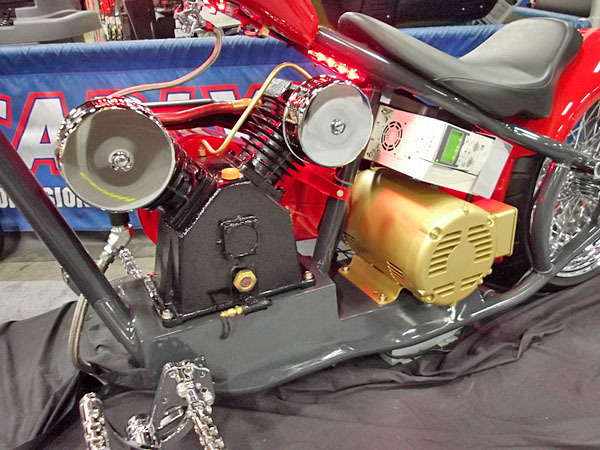 Yep, it’s an air compressor! Do all dogs like to play in the mud? 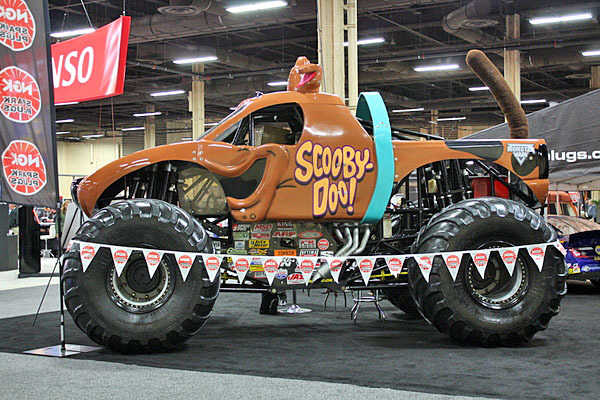 The Scooby-Doo monster truck surely does. 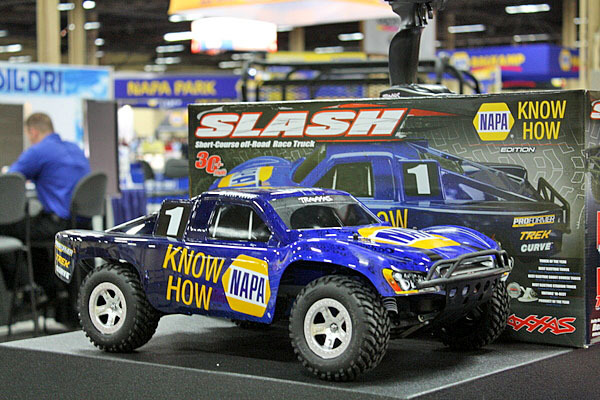 Finally, it’s the littlest NAPA vehicle at EXPO, the NAPA Know How Traxxas Slash RC off-road race truck.